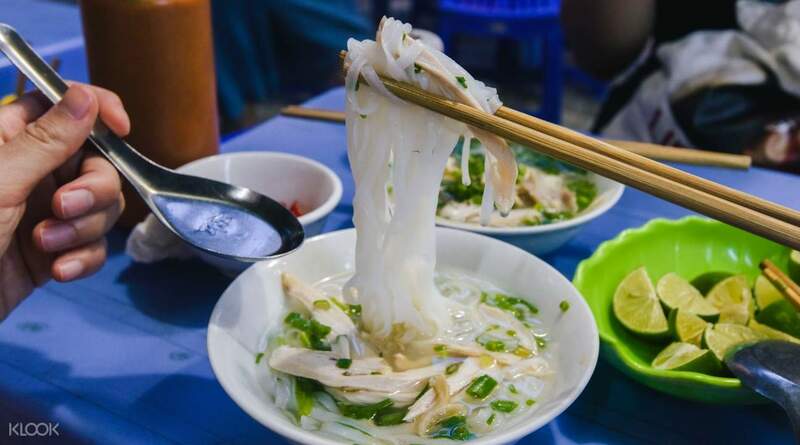 I think this is well worth tour to do if you are not local in Vietnam, and really want to experience what the local eat day to day. Not the touristy overpriced food. The tour guide with a lot if passion, named “HA” really made our experience special and memorable. She is super passionate about meeting new people, which makes the tour more enjoyable! 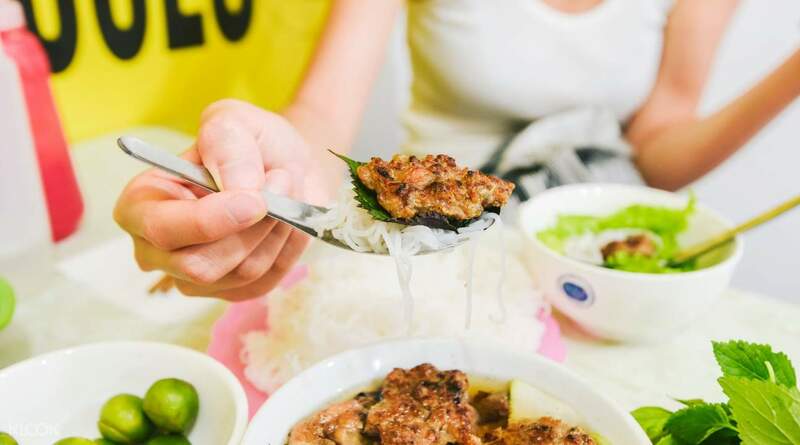 From spicy noodle soups to fried meats, pancakes and sweet desserts like tapioca – the food tour around Hanoi's Old Quarter will let you experience it all. Dive into the wonderful aromas of the engaged food stalls as you explore Old Quarter with your knowledgeable English speaking guide. You can choose to start your tour at any time of the day to experience local delicacies from early afternoon all the way to the evening! 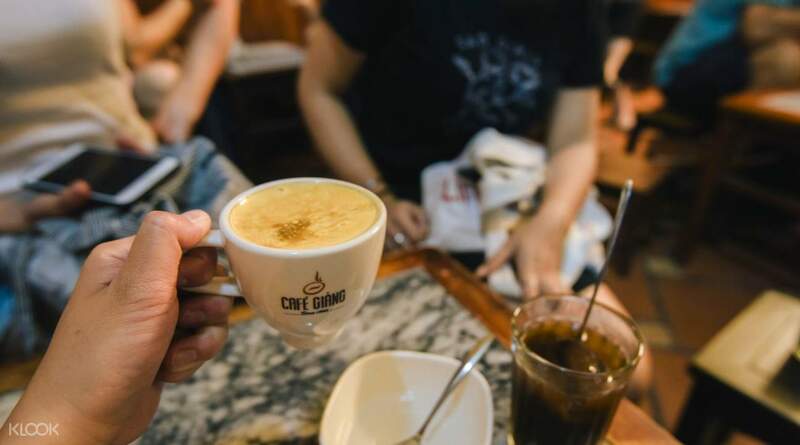 Before you get to filling your stomach with scrumptuous food, you get to learn about the history of Old Quarter and its cultural landmarks from your informative guide. With loads of new facts to keep your mind engaged, you can now finally dig in! Nick was an excellent guide! Before we started, he asked what had we tried during our stay at Hanoi, what are our allergies, if any. From there he decided what street food we can try. He obviously read up alot about type of foods that goes well together, how it is made, even food which is better suited for your dietary needs. He has lots of energy and so friendly! A great ambassador for Hanoi Street Food. Loved the food, love Nick! Nick was an excellent guide! Before we started, he asked what had we tried during our stay at Hanoi, what are our allergies, if any. From there he decided what street food we can try. He obviously read up alot about type of foods that goes well together, how it is made, even food which is better suited for your dietary needs. He has lots of energy and so friendly! A great ambassador for Hanoi Street Food. Loved the food, love Nick! The Old Quarter Food Tour is a very good one. 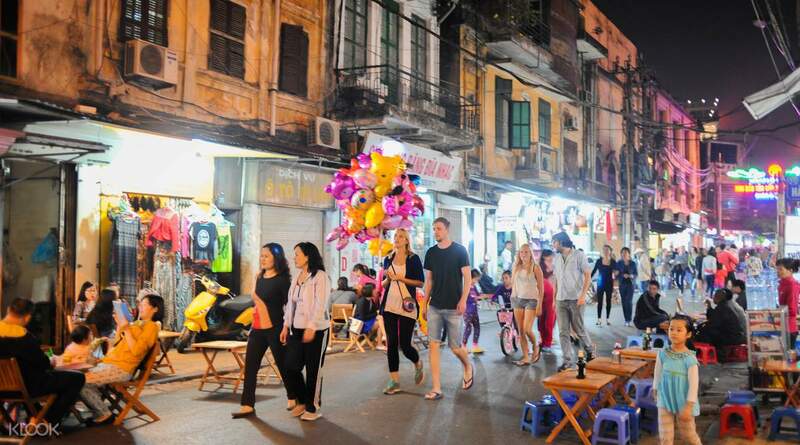 We did experience eating local food in Hanoi and be able to walk in the streets of Old Quarter. Food are tasty and delicious especially the egg coffee. Thank you for the experience. The Old Quarter Food Tour is a very good one. 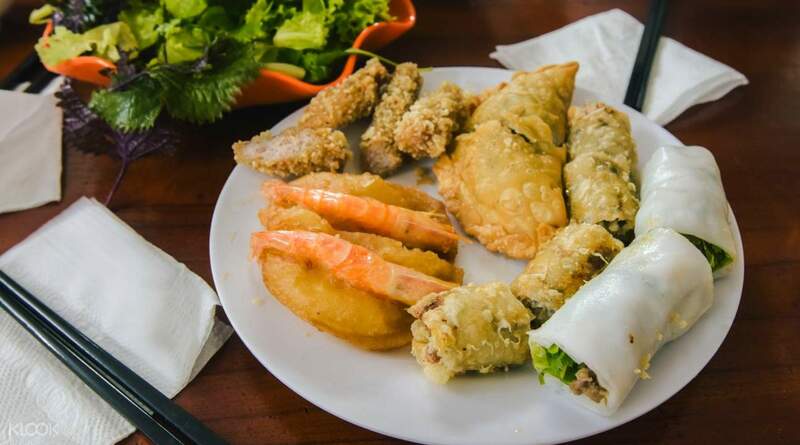 We did experience eating local food in Hanoi and be able to walk in the streets of Old Quarter. Food are tasty and delicious especially the egg coffee. Thank you for the experience. We had some amazing time with Nick! That’s what you call a good tour guide, really passionate, acknowledged, patient and respectful! Don’t hesitate to enjoy this tour, you won’t regret it! Thank you Nick to let us enjoy Hanoi and bringing home a great memory of Vietnam! We had some amazing time with Nick! That’s what you call a good tour guide, really passionate, acknowledged, patient and respectful! Don’t hesitate to enjoy this tour, you won’t regret it! Thank you Nick to let us enjoy Hanoi and bringing home a great memory of Vietnam! The food tour was great and Christine was the perfect hostess! We could not have had a better experience. I would highly recommend this food tour to anyone who’s looking to learn about food, the city and it’s history. When you book this tour ask for Christine to be your guide!! She is the best!! The food tour was great and Christine was the perfect hostess! We could not have had a better experience. I would highly recommend this food tour to anyone who’s looking to learn about food, the city and it’s history. When you book this tour ask for Christine to be your guide!! She is the best!! Peter did a good job of taking us around the Old Quarter. The food was good and the walk was not bad. Our guide spoke good English and was very patient. Peter did a good job of taking us around the Old Quarter. The food was good and the walk was not bad. Our guide spoke good English and was very patient. I had a great night with Lucy. She brought me to places I would never have thought of going to, and we ate so much delicious food. Be prepared to eat a lot. Come hungry! I had a great night with Lucy. She brought me to places I would never have thought of going to, and we ate so much delicious food. Be prepared to eat a lot. Come hungry! This was really helpful. It sure did make the travel a lot easier. Will definitely book with Klook for my activities on my next travel. Thank you so much Klook and thank you to our guide (Mary). This was really helpful. It sure did make the travel a lot easier. Will definitely book with Klook for my activities on my next travel. Thank you so much Klook and thank you to our guide (Mary). Tour was an excellent introduction to Hanoi and Vietnamese food. Guides were knowledgeable and friendly. Food was authentic and interesting and places that were local and not too ‘touristy’. I really enjoyed it. Tour was an excellent introduction to Hanoi and Vietnamese food. Guides were knowledgeable and friendly. Food was authentic and interesting and places that were local and not too ‘touristy’. I really enjoyed it. Such a great experience and we are just glad that we took it through klook. Aside from getting to try some of their famous food, we got to know a bit of their history too, through Ana our guide, who speaks good English. Such a great experience and we are just glad that we took it through klook. Aside from getting to try some of their famous food, we got to know a bit of their history too, through Ana our guide, who speaks good English. joined the tour with another couple. so there were three of us together with a young local guide. brought us to some local stores that we wouldnt have stepped our feet inside if she werent with us. great recommendations of food. joined the tour with another couple. so there were three of us together with a young local guide. brought us to some local stores that we wouldnt have stepped our feet inside if she werent with us. great recommendations of food.